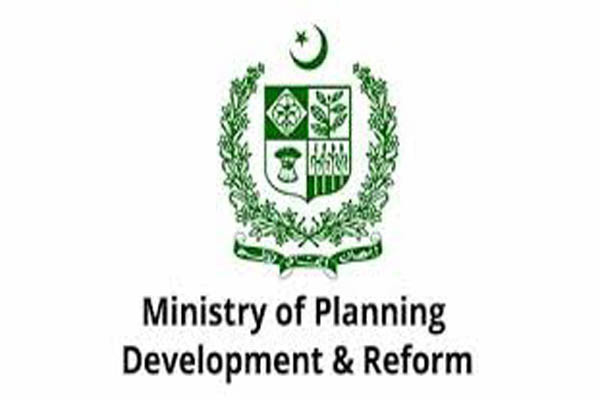 ISLAMABAD, Jun 25 (APP):The government has released over Rs 752.14 billion under its Public Sector Development Programme (PSDP) 2017-18 for various ongoing and new schemes against the total allocations of Rs 1,001 billion. The released funds include Rs 186.35 billion for federal ministries and Rs 66.14 billion for special areas, according to latest data released by Ministry of Planning, Development and Reform. Out of these allocations, the government has released Rs 302.19 billion for National Highway Authority for which Rs 324.72 billion have been allocated for the year 2017-18, whereas for WAPDA (Power), an amount of Rs 43.4 billion has been released out of total allocation of Rs 60.9 billion. Similarly, Rs 8.65 billion have been released for Communication Division (other than National Highway Authority) for which the government has earmarked Rs 13.66 billion under PSDP 2017-18. Railways Division received Rs 19.384 billion out of its total allocation of Rs 42.9 billion whereas Aviation Division received Rs 3.4 billion out of its total allocation of Rs 4.348 billion. The government also released an amount of Rs 26.32 billion for various development projects of Higher Education Commission out of total allocation of Rs 35.662 billion, while Rs 12.6 billion have been released for Atomic Energy Commission. Water and Power Division (water sector) received Rs 33.96 billion out of its total allocation of Rs 36.75 billion under PSDP 2017-18. The government also released Rs 18.75 billion for National Health Services, Regulations and Coordination Division, for which an amount of Rs 48.701 billion have been allocated in the federal PSDP 2017-18 while Rs 286.53 million have been released for Pakistan Nuclear Regulatory Authority out of its total allocations of Rs 321.53 million. An amount of Rs 16.6 billion have been released for Finance Division out of its total allocations of Rs 20.9 billion while Rs 782.5 million have been released for Climate Change Division out of its total allocations of Rs 815 million for the current year. Similarly, an amount of Rs 464.4 million have been released for Petroleum and Natural Resource Division out of its allocations of Rs 554.291 billion, Rs 2.1 billion for Planning, Development and Reform Division out of its allocations of Rs 8.556 billion whereas Rs 3.5 billion have been released for SUPARCO, out of its allocations of Rs 3.5 billion. Likewise, the government also released Rs 7.8 billion for Housing and Works division while Rs 91.5 million for Human Rights Division, and Rs 1.05 billion for National Food Security and Research Division. The government has also released Rs 24.6 billion for AJK (block and other projects) out of its allocations of Rs 25.844. billion, Rs 15.5 billion for Gilgit Baltistan (block and other projects) out of its allocations of Rs 18.3 billion whereas Rs 26.03 billion have been released for SAFRON/FATA (Block and other projects) out of its total allocations of Rs 26.90 billion for the FY2018. The government also released Rs 30 billion for Prime Minister’s Global SDGS Achievement Programme whereas Rs 6.9 billion have been released for ERRA out of its total allocations of Rs 7.5 billion. An amount of Rs 13.7 billion have been released for Prime Minister’s Youth Hunarmand Programme out of its total allocations of Rs 20 billion, according to the data. The Planning Commission of Pakistan has been following a proper mechanism for the release of funds and accordingly funds are released as per given mechanism. The commission releases 20% of funds in first quarter (July September), 20% in second quarter (October December), 25% third quarter (January March) and 35% in fourth quarter (April June).